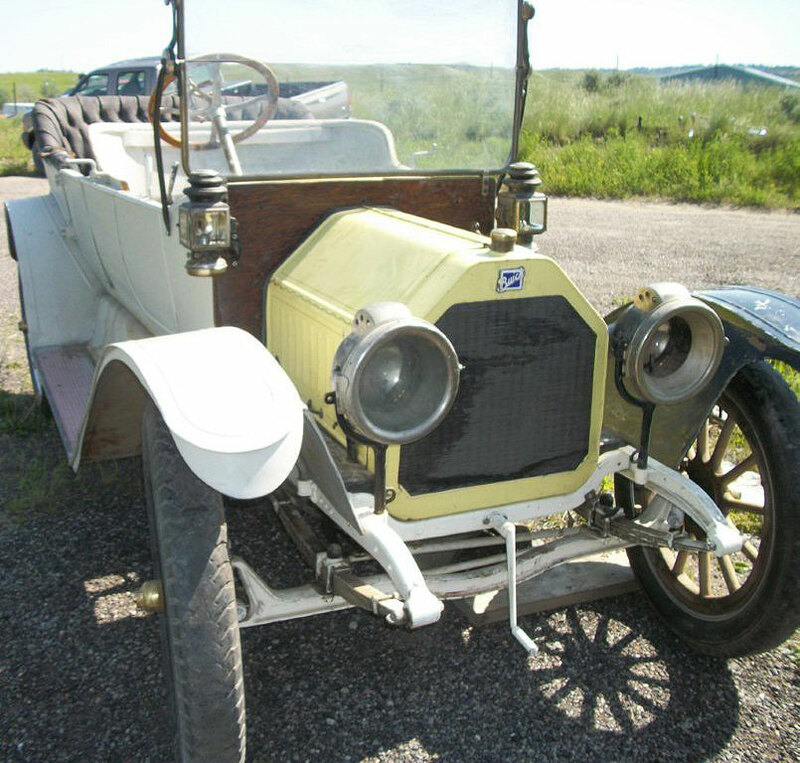 This yellow and gray primer 1913 Buick Model 25 Four three door 5 passenger touring car is a mostly complete running and driving vintage car ready to be restored or enjoyed the way it is. 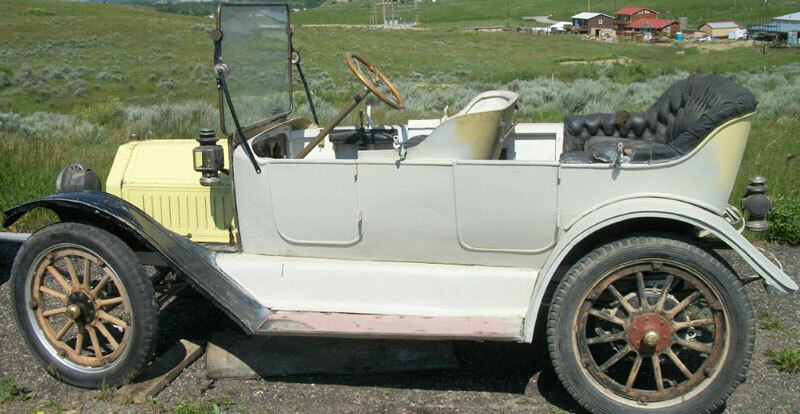 This is an all-original car with a partially-completed restoration job. The main body and doors are solid and straight. The rear portion of the body has been primered. The fenders have not been finished and they have some bends and dents. The running boards and rocker panels also need work and have some dents. There is no rust showing anywhere in the car. The left headlight lens is missing. The car has carbide lights with a Prestolite tank. The front seat has no upholstery. The rear seat has original black upholstery. The top bows are not on the car but are included. The chassis and motor have been rebuild. The 165 CID inline four cylinder 22.5 HP motor and 3 speed manual floor shift transmission work normally. The car runs and drives normally. 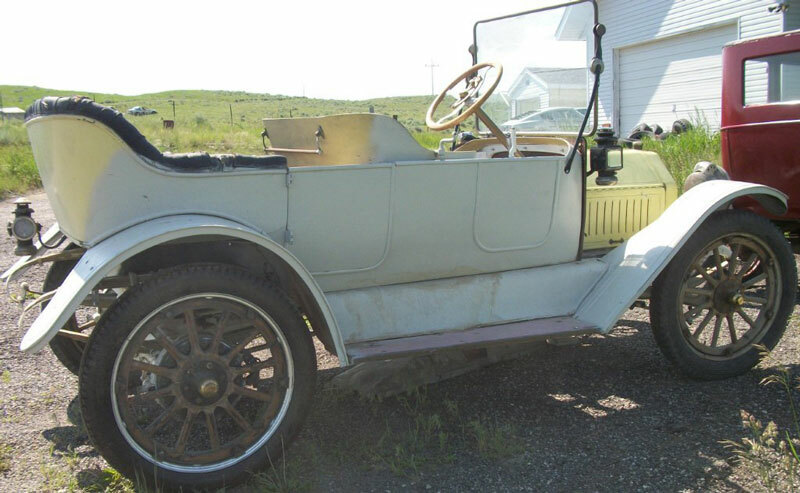 Here is your chance to own and restore a vintage 1913 Buick touring car. Please call (406) 318-0270 for details about this restorable vintage 1913 Buick project car.